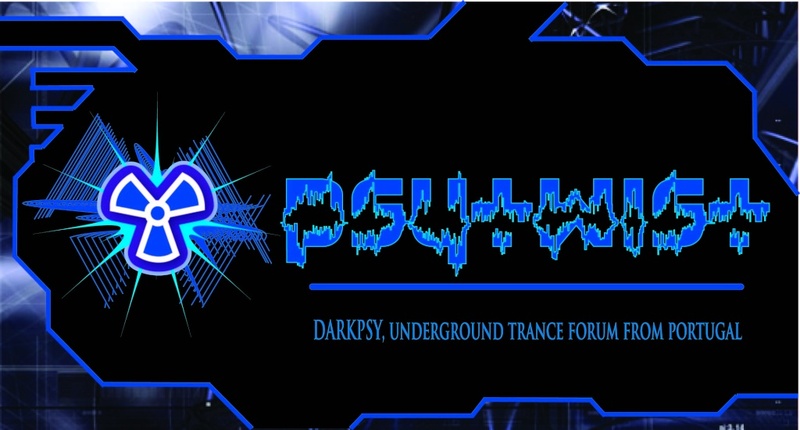 The story begins with a sound from our newest members Psychoson(Greece) , Morbid Source (Austria) and KZ (Japan). Tales of Nature and Afra by Psychoson, spiced up by K2 Is On The Way and Try Before Buy by Morbid Source, who is making an international debut, set out an opening mood of the compilation taking you on the journey of Lunar Prophecy. KZ is who we will predict is a new rising star on Japanese darkpsy scene, put together a story called P.F.F. This gives you some hint that this prophecy will not be an easy ride. At the mid point of the compilation is a Cursed Bambi story. This is a symbolic, two-halves and dance floor filling track from a diverse & talented Japanese project Fatal Discord. 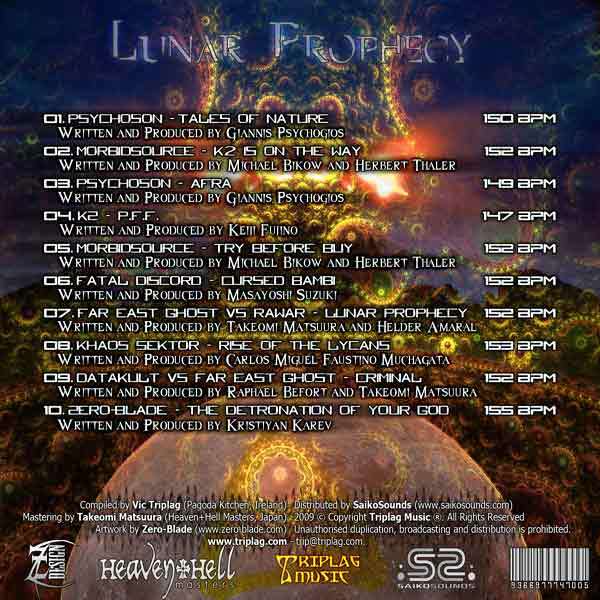 Now we are entering into the climax of the Lunar Prophecy with track bearing same name by long established members of Triplag Music label Far East Ghost and Rawar. Build up of the climax followed by another debut on Triplag Music - Khaos Sektor with Rise of the Lycans track. Intensity of the climax breaks into Criminal mayhem professionally controlled and manipulated by the masters of the genre Datakult and Far East Ghost. 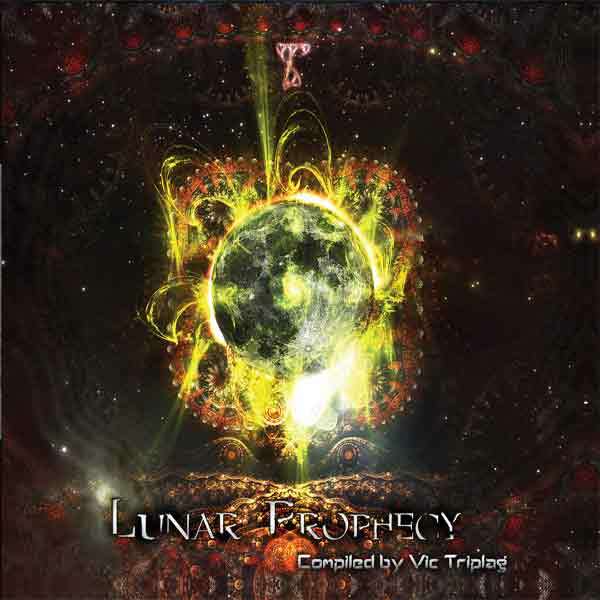 Final story of Lunar Prophecy is presented by another Triplag Music member Zero-Blade with The Detronation of Your God. This is a twisted conclusion story with signature Zero-Blade sound and full lunar eclipse inside. Time will tell if our Lunar Prophecy come true. 04. 147 Kz - P.F.F.